February 8, 2017 (Tony Cartalucci - NEO) - In the American cartoon show G.I. Joe, no matter how badly the heroes of G.I. Joe battered the villains of the Cobra organization the previous week, they would return with even more men, weapons, and vehicles. No explanation was ever given as to where Cobra drew these vast resources from, and no explanation was needed - because it was just a children's cartoon. In real life, however, a similar scenario is unfolding, and a similarly childish narrative is being foisted upon the public to conceal where real villains are drawing their vast resources from. Unlike in a children's cartoon, a real explanation is needed. The threat of "terror," or "radical Islamists" as US politicians and media refers to them, has become as cartoonish in reality as Cobra was in fiction. 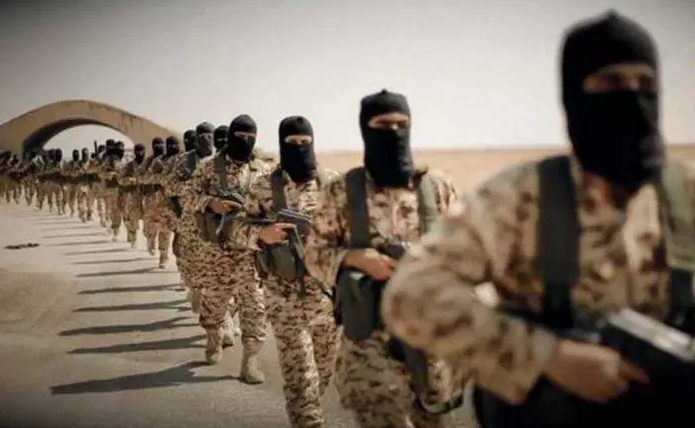 Organizations like Al Qaeda and the self-proclaimed "Islamic State" (ISIS) appear to draw from inexhaustible reserves of money, men, materiel, weapons, and even vehicles. They appear capable of transiting national borders, even the seas with fighters, logistical support, and financial resources in quantities that would confound all but the largest, most competent global military forces. 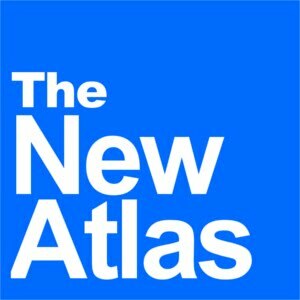 These terrorist organizations, espousing Wahhabi ideology originating in the Persian Gulf states of Qatar, Saudi Arabia, and the United Arab Emirates, are waging war simultaneously in Yemen, Syria, Iraq, and Libya, all while carrying out terrorist operations globally from North America and Europe to Eurasia and the Far East. 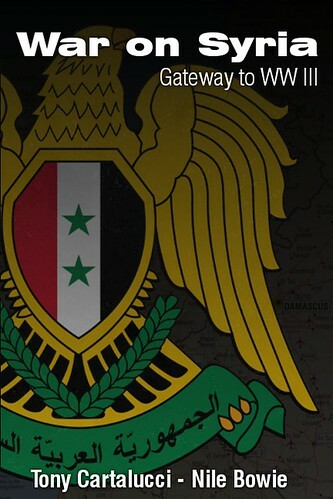 They are fighting the collective forces of Syria, Iraq, Iran, Russia, and Lebanon's Hezbollah. Few nations on Earth possess the political, military, and financial resources required to create and sustain such a force, and fewer still, possess the motivation to do so. US President Donald Trump's executive order banning entry into the United States of citizens from Syria, Sudan, Iran, Iraq, Yemen, Libya, and Somalia was predicated on protecting the American people from what the order claimed were "terrorist attacks by foreign nationals admitted to the United States." The order makes specific reference to the terrorist attack on September 11, 2001 on New York and Washington in which nearly 3,000 would die. However, the ban in fact omits literally every nation from which the alleged hijackers on September 11 hailed - 15 of the 19 hijackers were from Saudi Arabia, 2 from the United Arab Emirates (UAE), 1 from Egypt, and one from Lebanon. 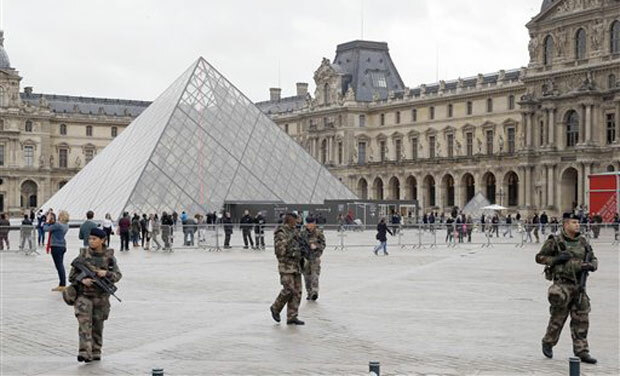 More recently, amid the attack on France's Louvre, the suspect now identified as Abdallah Reda Refai El Hamahmy, was born in Egypt - not on President Trump's list - had traveled to France from the United Arab Emirates - also not on the list - where he had worked for two years as a lawyer. He had also previously traveled to Saudi Arabia - also not on the list - where his wife and child currently reside. Yet, by "getting smart," one assumes President Trump means the US should acquiesce to his executive order and the travel ban it authorized. Yet the ban would not have prevented Abdallah Reda Refai El Hamahmy from entering the United States, finding a knife, and attacking any target of his choosing. It should be noted that suspected hijackers from Egypt and Lebanon, as well as the Louvre attack suspect, were members of or inspired by terrorist organizations funded and politically backed by Saudi Arabia and its Wahhabi neighbors. In fact, the groups these terrorists are drawn from includes the Muslim Brotherhood, an organization from which Al Qaeda was originally gestated - and a group defended by US and European political interests from states attempting to dismantle their networks, under various excuses including "freedom of expression" and "democracy." In this sense, the US and Europe are not just failing to fight terrorism, they are intentionally fueling, aiding and abetting it. Still, President Trump's supporters maintain that the list included in the executive order originated from the Obama administration, and that Saudi Arabia "may" be added later. However, recent events suggest otherwise. 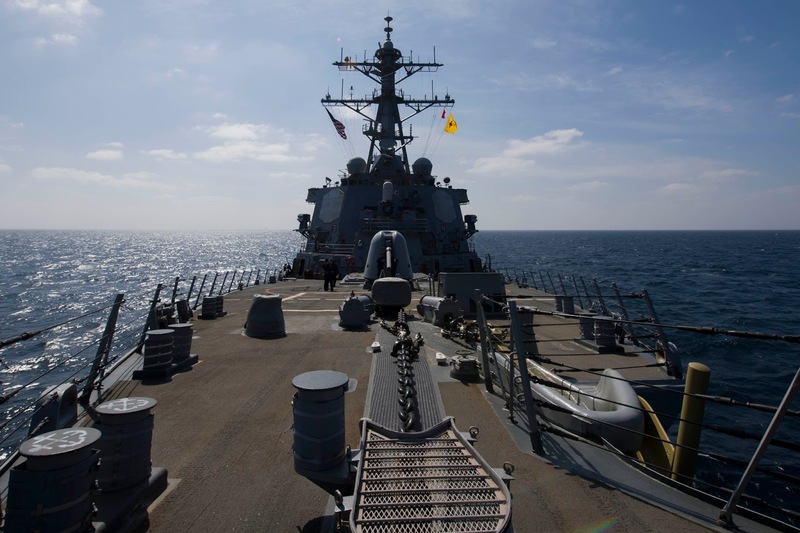 In addition to omitting Saudi Arabia from the list of nations included in his executive order's travel ban, President Trump would send US warship USS Cole to the coast of Yemen to provide security for Saudi ships in the region. Saudi warships have been targeted amid the full-scale war Riyadh is waging against its Yemeni neighbors. The USS Cole is of course the ship attacked in 2000 by Al Qaeda while at port in Aden, Yemen. Seventeen US sailors would die. It is unlikely that a single US warship can "protect" Saudi ships, but it could significantly increase the likelihood of Yemeni forces inadvertently hitting the US ship in an attempt to defend themselves against Saudi attacks. The logical progression of events after an accidental strike on a US ship by Yemeni forces would be wider US involvement in the Yemeni conflict, on the side of Saudi Arabia - the nation President Trump's supporters believe "may" be added to the travel ban "later." It is clear that terrorist organizations, including Al Qaeda and ISIS - cited by US President Donald Trump as the pretext for his recent executive order - are creations and perpetuations of joint US-Saudi collusion. They have jointly created a global mercenary force that can fight where their regular forces cannot, using tactics and methods on a scale that even their respective covert operations forces could never achieve. And while it could not be any clearer that these terrorist organizations draw from Saudi Arabia, Qatar, and the United Arab Emirates - with US and European backing - the summation of their political, financial, and military resources, President Trump - despite vowing to fight and defeat terrorism - has doubled down on protecting this very source of their power. By doing so, President Trump ensures that Al Qaeda and ISIS - just like the fictional Cobra organization - reappears each week with more men, weapons, and vehicles - no matter how badly battered they were the previous week.